Visual Communications, a community non-profit which has focused on supporting AAPI filmmakers since its founding in 1970, will be holding its annual interns’ summer film screening this year on July 28th at the Japanese American National Museum in Los Angeles, California. This year’s program will include ten short films curated from Visual Communications’ Armed With a Camera (AWC) Fellowship program, as well as entries from the 32nd Los Angeles Asian Pacific Film Festival. The screening’s films will focus on filmmakers’ broad and diverse vision of AAPI and diasporic API identity. Tickets for the festival are $12 for general admission ($10 for senior citizens, students and VC members with ID) available through this website. At the door ticket price is $15 for general admission ($13 for senior citizens, students and VC members with ID). More information for the screening can be found at its event page. A preview of the short films that will be included in the screening this year is after the jump. After a behind-the-scenes server migration, my jenn [at] reappropriate [dot] co email is currently not functioning. You can continue to contact me through this form. I will update this post when my email is once again functioning. Update: My jenn [at] reappropriate [dot] co email is now functioning again. Thanks for your patience! APIAVote Seeking Summer Interns for 2016! One of my favourite non-profits — APIAVote — is seeking summer interns for 2016! APIAVote is one of the nation’s premier non-partisan AAPI-focused voter registration and civic engagement non-profit group. 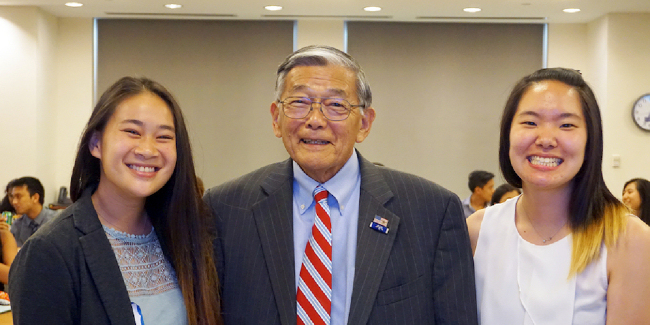 If you’re an AAPI student with an interest in social justice, you should definitely take advantage of APIAVote’s summer intern program, particularly this year as the nation approaches a major presidential election wherein the AAPI vote is likely to be unprecedentedly influential. Already, the Clinton campaign has taken the early lead in trying to appeal to the Asian American vote with other candidates likely to follow suit. APIAVote’s summer internship program will grant you the opportunity to get into the heart of this year’s political action (and I could not be more jealous). Posted on January 20, 2016 January 20, 2016 Leave a comment on APIAVote Seeking Summer Interns for 2016!